50% off general admission into Keats House. 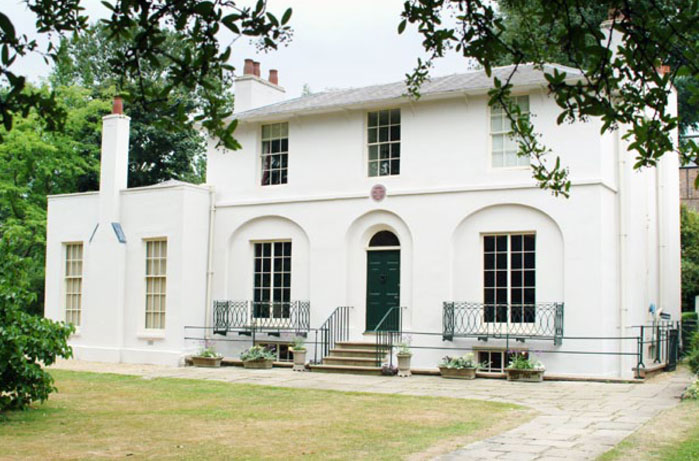 Free entry into Keats Foundation events, at Keats House and elsewhere. A discount off the Registration fee for the Keats bicentenary conferences, in 2017 and beyond. To open or renew a subscription by card, please use the PayPal button below. Please note that a £3 administration charge will be added to your subscription if you wish to pay by PayPal. To open or renew a subscription by post, please mail a cheque, payable to ‘Keats Foundation’, to Robert Hall, Hon. Treasurer, The Keats Foundation, 11, North Hill Road, London N6 4AB, U.K. If you would like to become associated with and sponsor one or more of our projects, we would especially welcome donations that will help us get them off the ground and give the Foundation a wonderful start. Please note that donations and supporters subscriptions/renewals to KEATS FOUNDATION should NOT be made via the Corporation of London or to Keats House, Hampstead. Additionally, please note that the Keats Foundation currently has no direct debits with bank accounts set up.